Golden Field Kennels is a family owned business. We built our kennel in 2004. Started dog boarding, and purchased our first two females for breeding, Alex and Ruby. Once they reached the age of 2 we were able to get their hips, eyes, and heart screened and certified for breeding. And from there it took off into a great breeding/boarding facility. 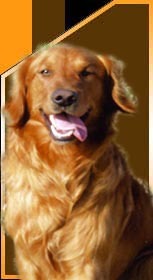 Our goal is to breed good quality, healthy dogs with great pedigrees and health guarantees. Also, as a boarding facility our goal is to make your dogs stay the most comfortable and fun place to be away from home. All of us who take care of the dogs and enjoy the kennel, work very well as a team! David, Penny, Derek, and Tara. Tara is a Registered Veterinary Technician who works at James Valley Vet Clinic in Huron, SD. She has been a Vet Tech since 2002. We also offer grooming services. Tara does some grooming at James Valley Vet Clinic, and also does some at the kennel upon appointments or while your dog is here boarding. We offer baths, brushing, grooming, nail trims, ect. Our drop off and pickup times are 8:00am, 1:00pm, or between 5 and 6pm.